Are those caps original ? I have a PAS16 with small blue caps it is a Gateway 2000 part number. OK, havn't bought it today but over last 2-3 months, but the last one arrived last week. Three of them work as good as new. Last one has some issues though (I have to low-level format it from time to time - disobeying the label) otherwise it will have trouble reading files. Still no bad sectors on any of these drives. Not so much the last few months, this was it. Sorry for the (sometimes) crappy pictures. 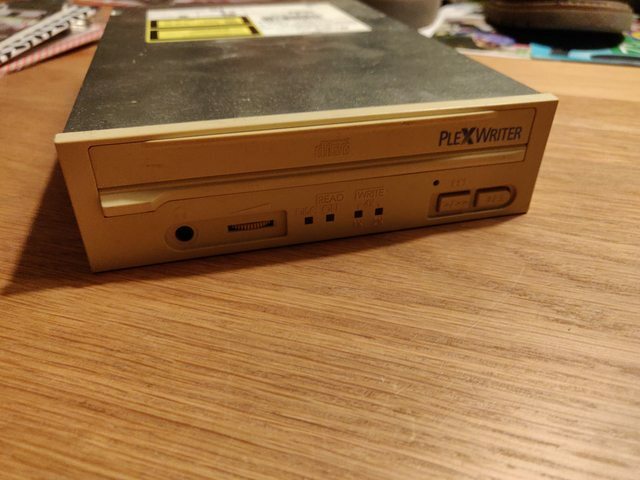 I bought a box of e-Waste There was more but no pictures, they were CDROM drives and floppy drives, nice old ones in different shades of beige and grey. I like having some to choose from to get an authentic look. Loooooong ISA card. Anybody have any idea what this might be? It's labeled MCS 8603/2. EDIT: Googling finds this: "The TDA3561A is a decoder for the PAL colour television standard." 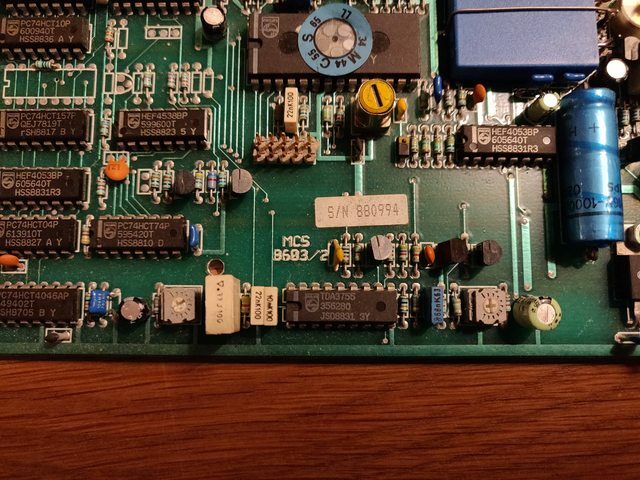 Sony computer interface board for a VHS? player. I have no use for it. Saving the best for last. Bottom one is in a sorry state. But they were not expensive. Not tested yet, had a busy weekend. 4) IBM 5162 'as is' so need to check it. Got some free floppies and xt guide to operations along with it. Never seen something like this, is that a server board? 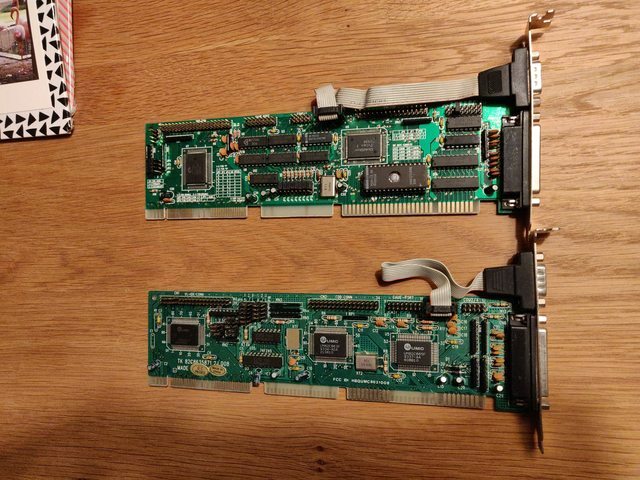 I bought it with a couple of other boards but i dont know whats that. Only photo, I see its Compaq. It looks like there goes SD rams and a notebook ram (or something which look like a notebook ram) Your opinion ? That looks like a server board to me. And the slot next to the riser board is possibly a Level 2 cache or something thereof? Do you see a P/N number on that boar or a serial number? The SD-RAM slots are the server graded ones and require the server graded SD-RAM. I had a Dell PowerEdge 6300 server of similar vintage or board style and that thing weighed about 50 pounds. Took it apart years ago, yet, I kept the SCSI hard drives and the Pentium II Xeon 400 processors. Speaking of servers, I saw an HP Visualize J5600 server (runs on PA-RISC PA-8600 @ 550MHz) at a thrift store for $99.99 (almost took it, but, they only accept cash, and that thing wouldn't fit in my 4-door sedan). 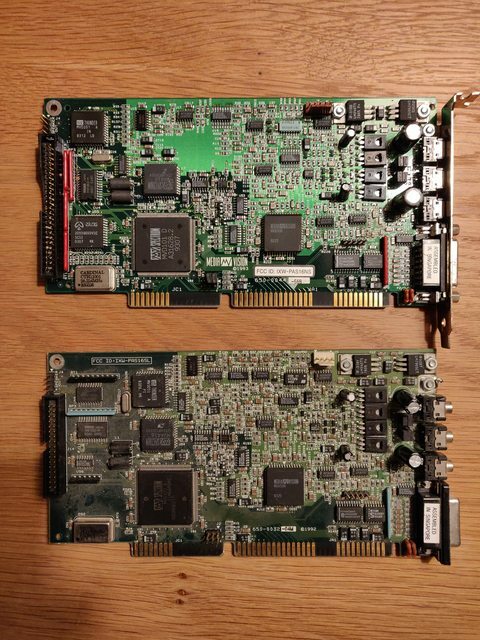 Also, did you know that the processors for servers (PA-RISC) and the Nintendo 64 (NEC VR4300 (MIPS R4300i)) were 64-bit CPUs in the 1990's before Intel and AMD adapted the 64-bit architecture? The server itself had memory support up to a whopping 8GB (their type of RAM) and RAM that size used to cost a lot in the 1990's. That slot next to the riser board is an RAM expansion for the onboard ATI Rage 3D PRO chip. bjwil1991 wrote: That looks like a server board to me. And the slot next to the riser board is possibly a Level 2 cache or something thereof? Do you see a P/N number on that boar or a serial number? The SD-RAM slots are the server graded ones and require the server graded SD-RAM. I had a Dell PowerEdge 6300 server of similar vintage or board style and that thing weighed about 50 pounds. Took it apart years ago, yet, I kept the SCSI hard drives and the Pentium II Xeon 400 processors. That board looks very similar to ones in couple Compaq Deskpros I have here. 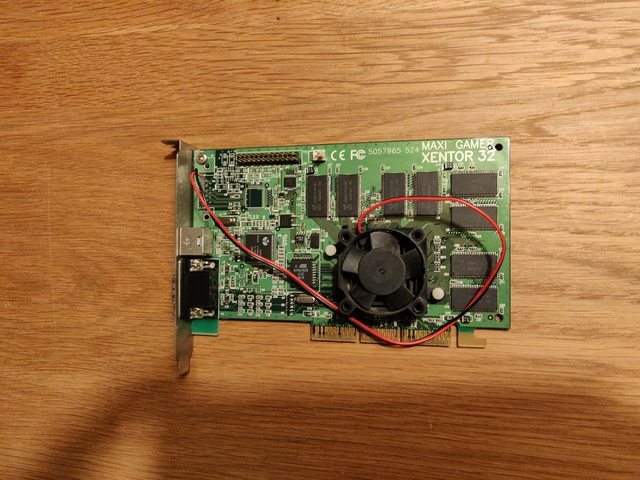 I just received a graphics card I got for a vintage desktop I'm currently working on. It's an Intel RH1N07 graphics card, and I got on eBay last week. This is a replacement graphics card for this PC, because I screwed up its previous one. Well don't screw up the second one.. It is on carpet. respect2759 wrote: Never seen something like this, is that a server board? 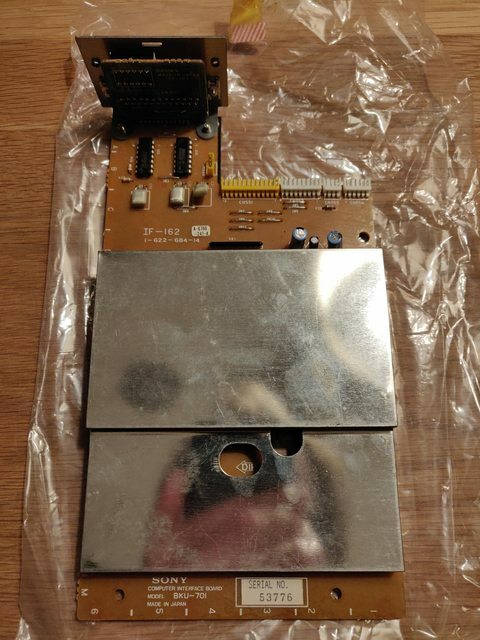 I bought it with a couple of other boards but i dont know whats that. Only photo, I see its Compaq. It looks like there goes SD rams and a notebook ram (or something which look like a notebook ram) Your opinion ? That's a Compaq Deskpro EN, from the pentium II era - the fan on there is odd, maybe it's a klamath PII? The SODIMM slot is for VRAM expansion memory, fairly pointless. wiretap wrote: Well don't screw up the second one.. It is on carpet. Pfft! I doubt having a graphics card on a carpet won't hurt it. I actually screwed the last one up because back when I took this desktop apart to clean it, I was being a little dumb and tried to take the card's main chip off with a knife (I thought I could convert this vintage computer into a modern gaming PC, but that was an epic fail). Btw, cats love carpets that aren't antistatically treated. retardware wrote: Btw, cats love carpets that aren't antistatically treated. Who said I had cats? No, I do not have any pets. Yeah, I guess I couldn't agree more. Static electricity can harm hardware. But luckily it's spring time, so I don't have to worry about that (static electricity occurs mostly in winter). No, it occurs anytime the right atmospheric conditions are combined with rubbing the fabric that may become loaded with static electricity. Which, depending on the country, may occur throughout the whole year, and is more likely to occur inside than outside due to heating drying the inside air. I always see people say "oh well I've been doing this for 20 years and I've never had any problems".. but they're always posting about weird issues with their hardware, like BSOD's, random parts dying later on down the road, odd post failures, etc. Then they get offended when you mention ESD controls.. a very basic proper handling of circuit boards to prevent damage that doesn't always show up right away. The damage is microscopic. I send out dozens of boards per year for electron microscope / x-ray / destructive failure analysis and see it all the time from improper ESD controls which damage or degrade gates/junctions. I've seen everything from no failures with imminent failure possible, to random reboots happening, to shifted/scrambled bits in CMOS devices to flat out failures where the static electricity blows apart logic gates. There's a reason why companies spend millions of dollars a year on ESD controls when manufacturing and packaging circuit boards. Anyhow, you can easily prevent it at home (or limit it like 95%+) by spending a few bucks on a properly grounded mat, wrist strap, and HVAC control.